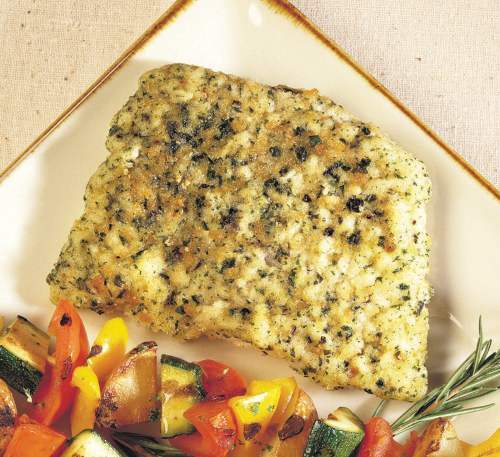 COOKING INSTRUCTIONS: BAKE: Place Frozen Crusted Instruction Fillets on a Lightly Oiled Sheet Pan. CONVECTION OVEN: Preheat Oven to 325°F and bake for 14-17 minutes. CONVENTIONAL OVEN: Preheat Oven to 375°F and bake for 34-36 minutes. NOTE: COOK TO AN INTERNAL TEMPERATURE OF 165°F MINIMUM.